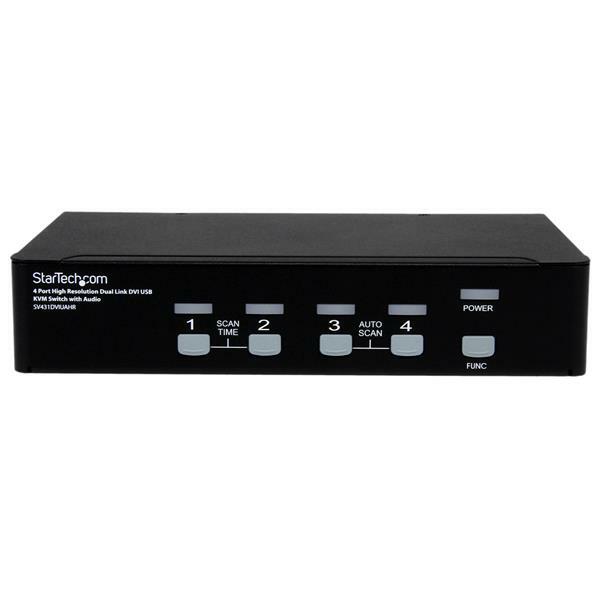 The SV431DVIUAHR 4 Port High Resolution USB DVI Dual Link KVM Switch with Audio provides simple, yet comprehensive KVM control of up to 4 directly connected computers with dual link DVI output and USB keyboard and mouse connections. 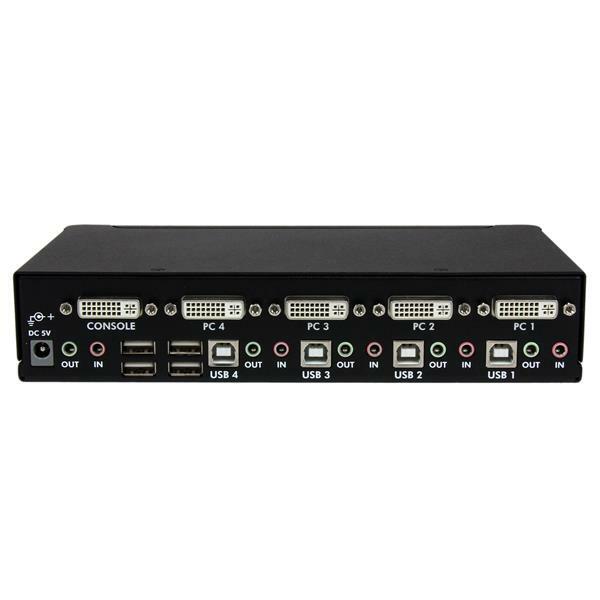 Audio switching capability and support for high resolution dual link DVI applications up to 2560x1600 @ 60Hz (up to 3840x2400 at lower refresh rates), make this KVM a superior switching solution that integrates perfectly into multimedia environments. 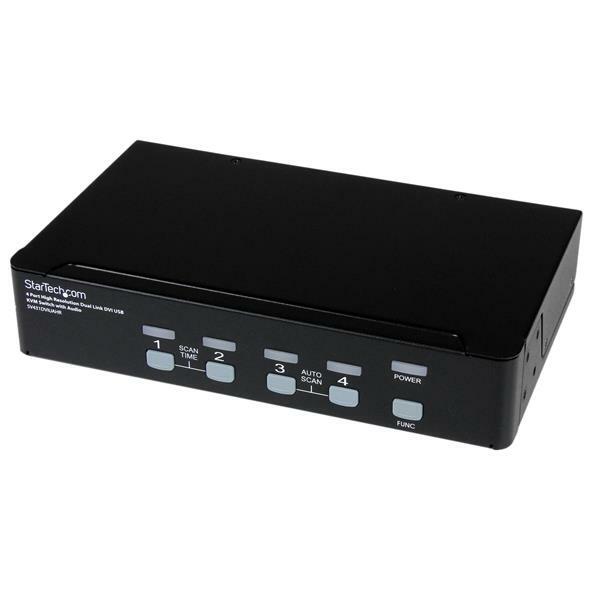 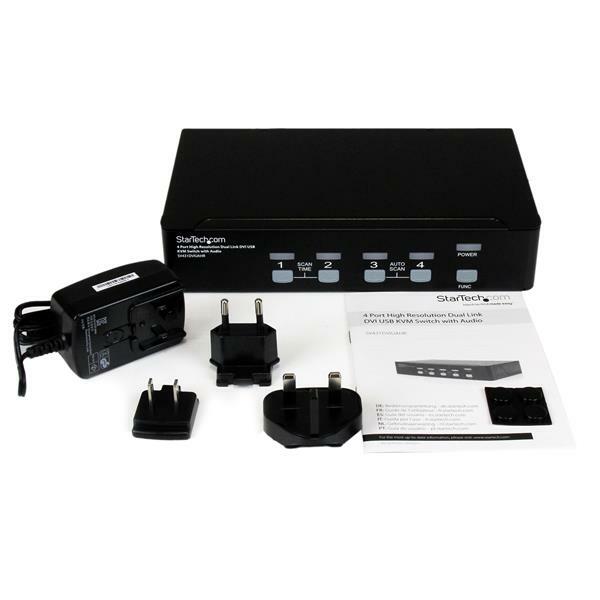 The DVI USB KVM Switch is compatible with all USB supported operating systems with no software or drivers to install, and features a built-in USB 2.0 hub that allows you to share up to 3 high speed USB devices between computers.